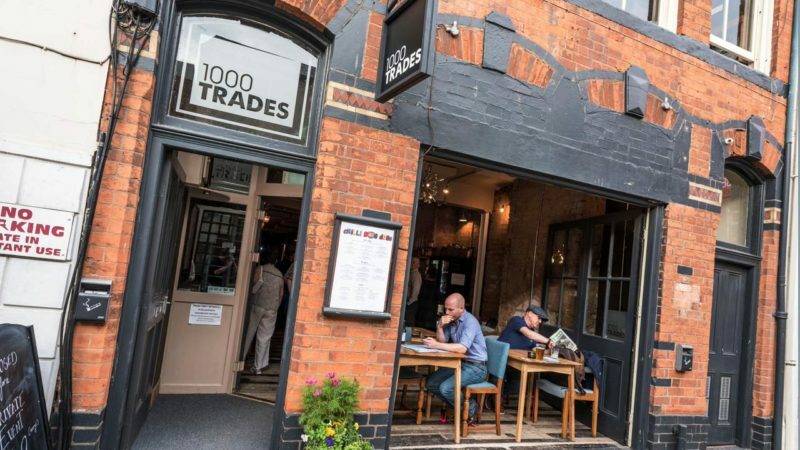 Close to the main carfax in Birmingham’s upcoming jewellery quarter with designer pop-ups and artisan cafes, 1000 Trades is the thriving go-to neighbourhood bar. The signage was all hand-painted or acid-etched on glass in the bold black and white brand identity palette, with a strong modern typeface, set on a foursquare ground. 1000 Trades logotype has been fine tuned to work at extremes of scale with no loss of design integrity, and for exterior: clear low-light visibility.